Waitarere Beach is the perfect place to enjoy a relaxed pace of life. Come and get away for a weekend of beach and forest walks or lazy days watching SKY /reading books by the fire. The bach is regularly checked by the owners to ensure a high quality of cleanliness, presentation and well maintained facilities. Our pricing is based on 2 adults with up to 2 children staying free. Each additional adult $20, additional child $10 per night on top of base rate. Small children are kept safe on the deck with a slide in gate. Watch the kids riding their bikes around the cul de sac or simply watch the world go by with a glass of wine on the deck. Beach access just across the road for a safe, serene 5-7 min walk to the beach. The Beach Retreat is just a short stroll away from the local Four Square, 2 local cafe/restaurants/ takeaway outlets. The local Bowling Club does a great meal on a Friday night. Visit the historic site of the grounding of ship the Hydrabad down on the beach. Enjoy swimming on the safe beach with surf lifesaving patrols operating in the summer months. Waitarere has 2 large forestry areas accessible to the public and vehicles can easily access/are permitted on the beach. The Public Reserve has a children's playground, half pipe, BBQ facilities and tennis courts. Ruahini Forest Park - various hiking trails. In the hills behind Levin. OTAKI: (30 mins) a variety of outlet stores. FOXTON: (15 Mins) Dutch (De Molen) Windmill. The Dutch Market, Flax Stripper Museum and Horse Tram. SHANNON: (25 mins) Owlcatraz Native Bird and Wildlife Park and Boutique Shops. *Guests are required to provide their own linen. *Guest numbers not to exceed those specified in confirmed booking. *Please enquire regarding pets. Property does not suit large dogs. *As with many properties in Waitarere we use bore water. We have a water filter/softener which greatly improves water quality. At times there may still be a slight colour and odour so we also provide 20 litre containers of fresh drinking water. We are a family of 5 who like everyone else lead busy work and personal lives. We live on the Kapiti Coast and love the area and community. The bach for us is a place where we let go of the stresses and pressures of everyday and allow ourselves to reconnect as a family, slow down and breathe. There is nothing like a walk on the beach to clear the head and remind yourself of the importance of life balance. The Beach Retreat is fully insulated so with a log burner which heats the whole house, it promises to provide a warm winter stay unlike many other 'old school' kiwi baches. 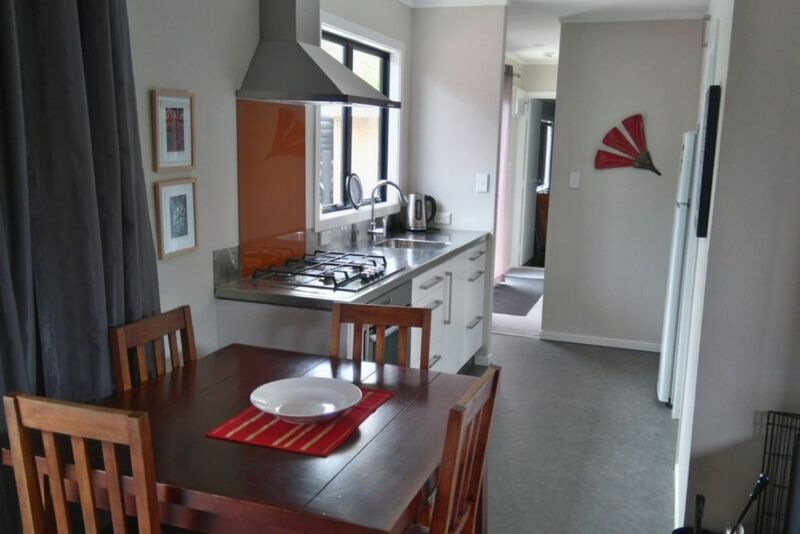 Quiet location, clean and tidy with something to entertain everyone. Such a lovely Bach. Has everything you need for a getaway. We had great weather but if it wasn't there was a log fire and plenty of games to keep you entertained. Very clean, stocked with everything you might need. Sky TV with all the channels and comfortable bed. Would stay again! Thank you! Everything we needed for a weekend getaway. Lisa was available when we needed help. The home is set up great and very close to the beach! The property has everything you need. It's well equipped and handy to the beach and shops. We were able to bring our mini schnauzer which was a big bonus for us. Absolutely wonderful place to stay. Great to hear you had a great time. Come again!